Traditionally brewed & matured. 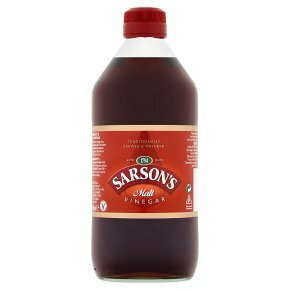 Suitable for vegetarians.Since 1794, Sarson's Vinegar has been brewed and mature in vats using a traditional process. Ideal for bringing out the flavour of your favourite foods and using as a base for sauces or marinades or sprinkling over chips.